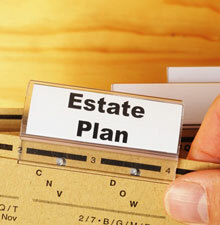 As a recent article in Barron’s details, making decisions about how you want to be cared for in the future is not a pleasant subject, but it absolutely necessary to an effective estate plan. If you want your affairs to be handled in a certain manner or if you want to be cared for in a certain way, then it is crucial to share these wishes with your loved ones, preferably both in person and in writing, so that your family members know what you want should your health and mind start to deteriorate. Otherwise, your family members won’t know what you want, and they may try and take actions on your behalf that are not in your best interests in terms of your estate plan, simply because they don’t know any better. Therefore, Lesson #1 is always to make sure that your family members have the information that they need to make crucial decisions about your care in accordance with your wishes and your estate plan. This leads us directly to Lesson #2 – choose your advocates wisely. Whomever you name as your power of attorney will be handling all of your financial affairs should you begin to decline has to be a strong person who can make the decisions that need to be made about your finances, including paying bills, handling lawsuits, and generally managing your assets, even if other family members disagree. You must be able to trust that person, and he or she must be sophisticated enough to be able to handle your affairs. 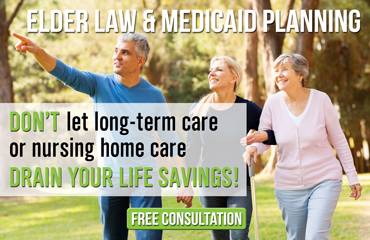 You also can name a power for attorney for healthcare decisions. While the same individual can be both a financial and healthcare power of attorney, you also can split up the responsibilities by choosing a different person to be your healthcare power of attorney. Again, you must fully trust this person and make sure that he or she knows how you feel about different scenarios and how you wish them to be handled should they arise. As for Lesson #3, you should appoint a healthcare power of attorney who can handle the grave responsibility of making end-of-life decisions in accordance with your wishes, no matter how difficult those decisions may be. For instance, choosing your most soft-hearted child to advise doctors to withhold nutrition and hydration when you are in an irreversible coma is probably not the best way to go. Some people simply care about you too much to bring themselves to make these types of decisions, even if you have been very clear about what those decisions should be. If you do not consult an experienced lawyer in time, you risk missing out on the many different potential benefits of a comprehensive estate plan. Don’t delay in contacting the Grand Rapids estate planning attorneys of Law Offices of The Elder Law Firm PC, and set up your free consultation today.